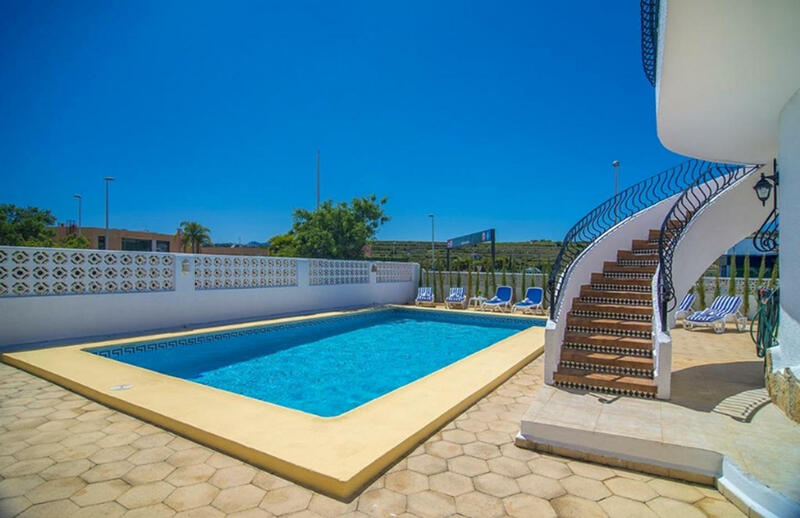 The villa in Benitachell has 5 bedrooms and has capacity for 10 people. The villa is 228 m². 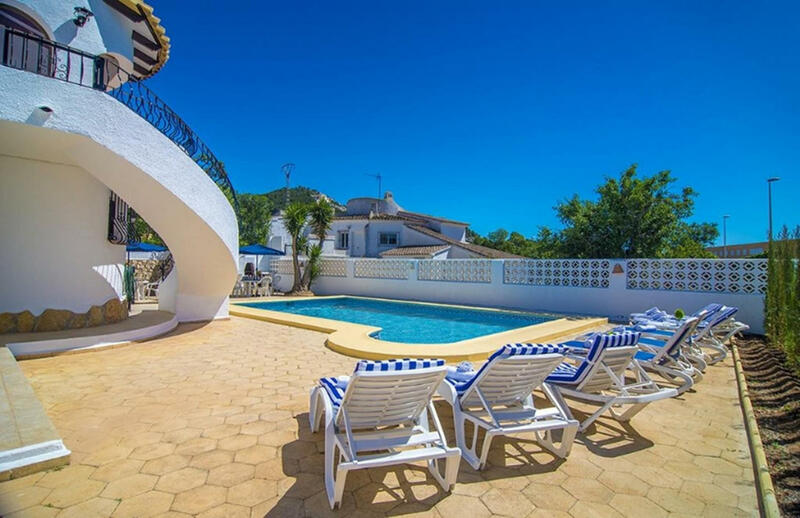 The accommodation is equipped with the following items: garden, garden furniture, fenced garden, 60 m² terrace, barbecue, fireplace, internet (Wi-Fi), central heating, air-conditioned, private swimming pool, open-air parking in the same building, 4 fans, 2 TVs.